The Botanic Gardens restaurant is part of the ‘Festival of Food’ with its kitchen headed up by acclaimed chef Paul Baker. With a garden to kitchen philosophy the seasonal menu reflects what’s grown in the surrounding stunning Botanic Gardens. 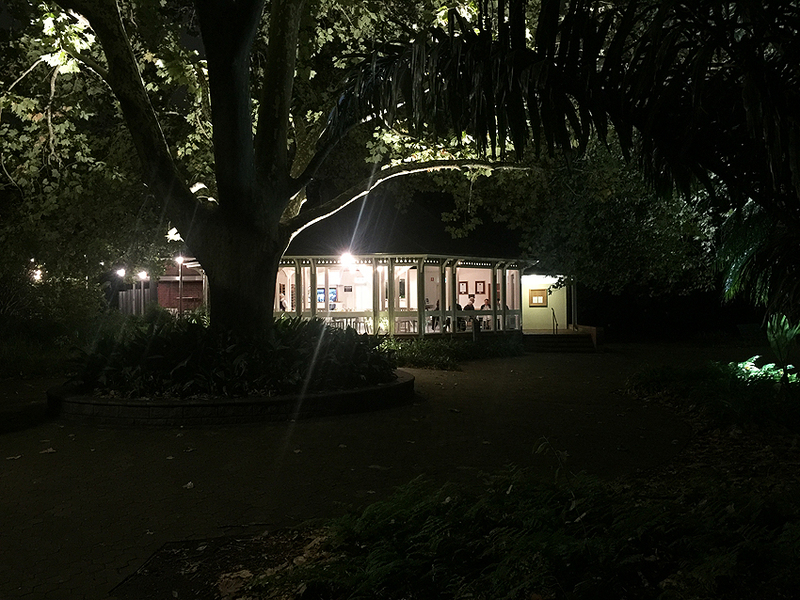 The restaurant is nestled in the centre of the gardens and as we were dining in the evening, entered after closing, from Plane Tree drive. It was eerie walking along the well-lit path shrouded in leaves, with the mild screeching of fruit bats flying above the leaf cover. When we arrived at the Botanic Gardens restaurant four other tables were occupied with many spare tables (which did not fill up). We were seated between two tables, one of which was a table of six. With so many other spare tables we asked to be moved somewhere with a bit more room around us. Instead of placing us on an empty table next to the window to look out onto the beautiful gardens we were seated in the centre of the room. 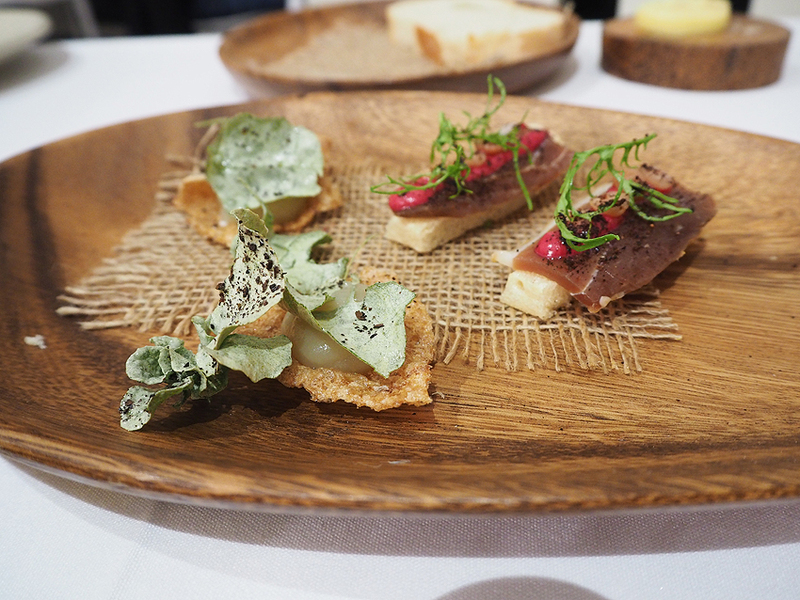 We decided on the Festival of Food tasting menu (without the accompanying wines) as we wanted to try as many of Paul Baker’s dishes as possible! Our dinner began with ‘snacks’. 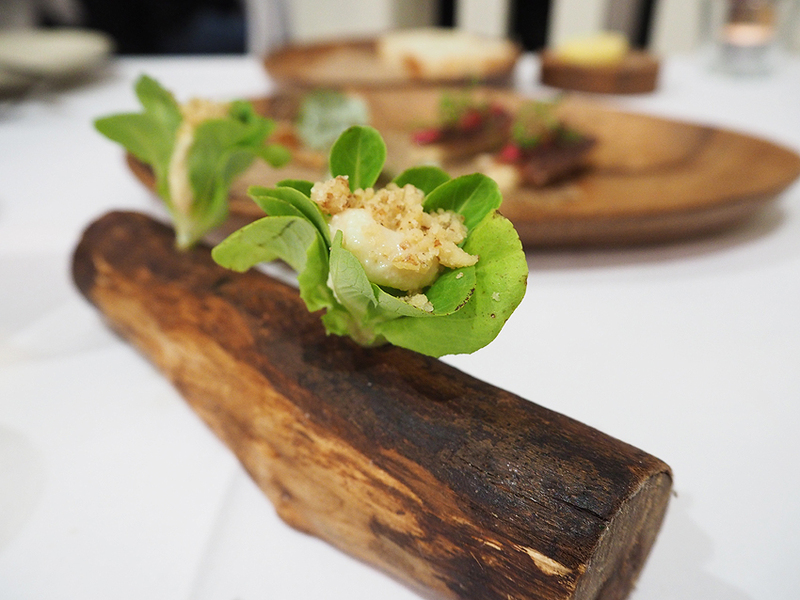 Salanova lettuce, pear, pecorino and walnut which was beautifully presented on a log. The salty pecorino complimented the soft pear, crunchy walnuts and crisp fresh lettuce. Just a beautiful combination of flavours and textures. 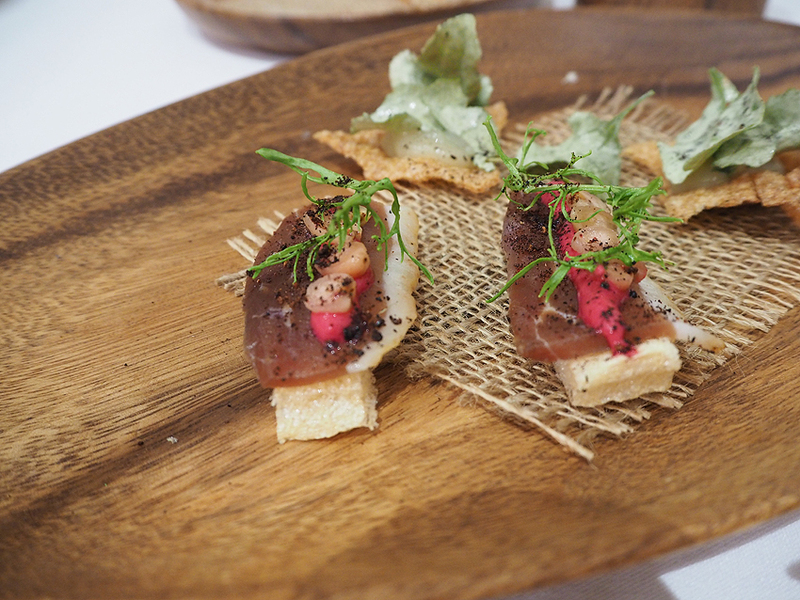 Next was the smoked apple, saltbush and pork skin (crackling!) which was an amazing combination of flavours and textures. Salty, crunchy, soft and smooth with a little smokiness. And finally, duck ham, riberry, beetroot and mountain pepper combined to produce a soft and crunchy peppery combination. Truly beautiful. 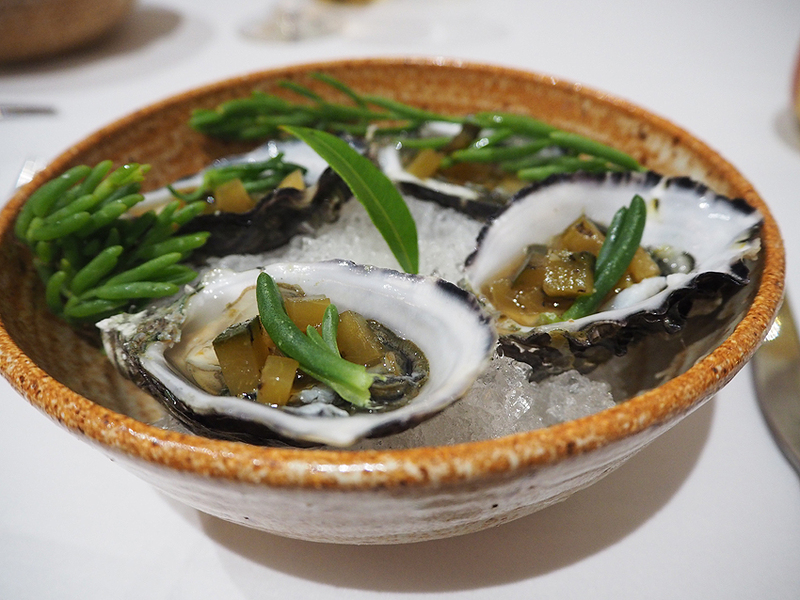 Then we enjoyed Coffin Bay oysters, charred cucumber and bonito. The oysters were so succulent and tasted fresh from the sea. Pork head, ginger plums, blackberry, cured egg yolk combined all the soft textures with the beautiful fruits grown in the gardens. 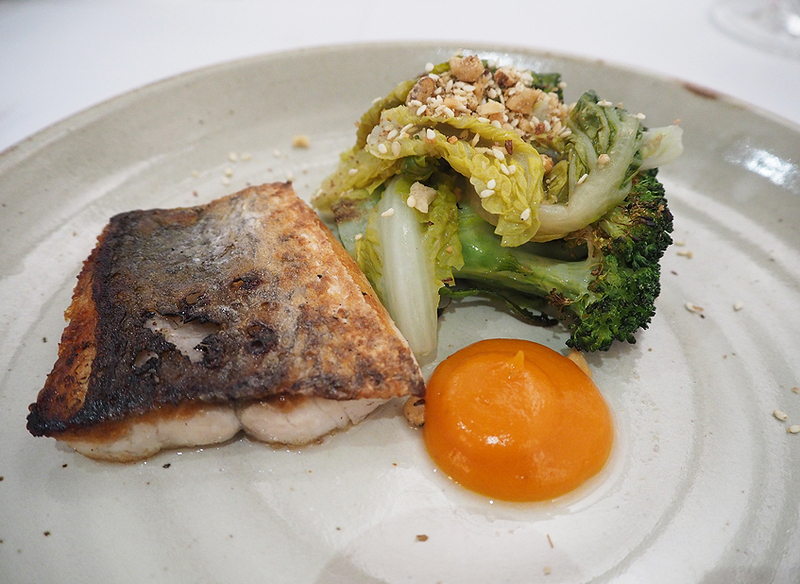 The wild caught mulloway was accompanied by the fermented cumquat, broccoli and pickled lettuce. 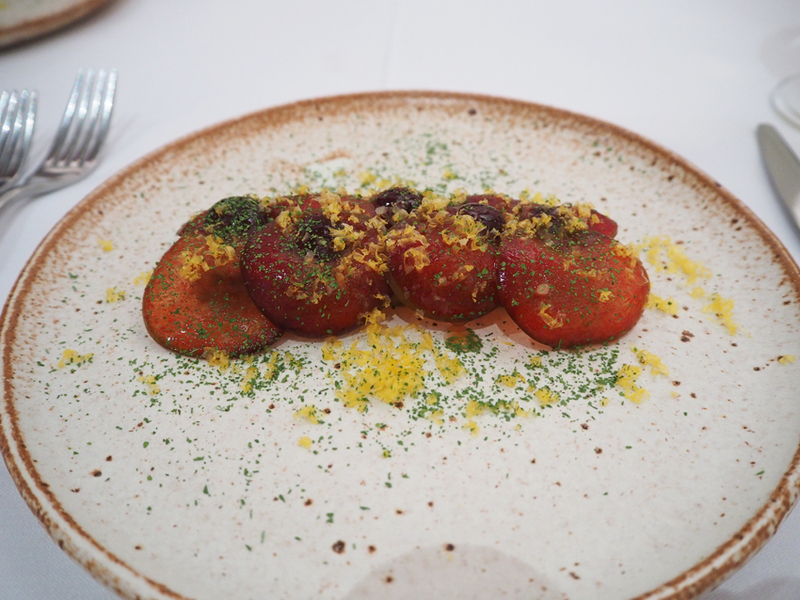 The mulloway was cooked perfectly with the fermented cumquat adding a brightness to the plate. The pickled lettuce was a little unusual but added another texture and flavour combination to the dish. The lamb neck, freekah, onion caramel, parsley cream, quince and barilla was my favourite dish of the night. 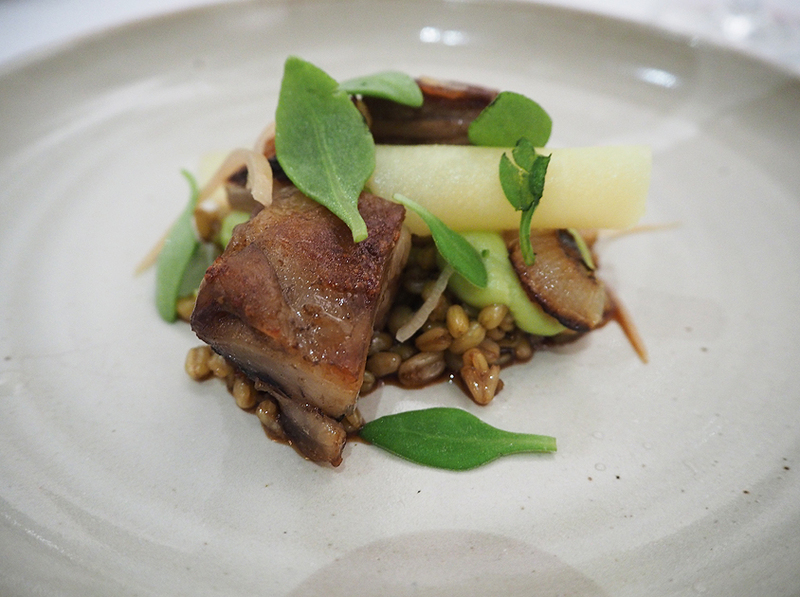 The freekah was firm with the lamb neck soft and melting in the mouth with the quince adding come freshness. Yum! 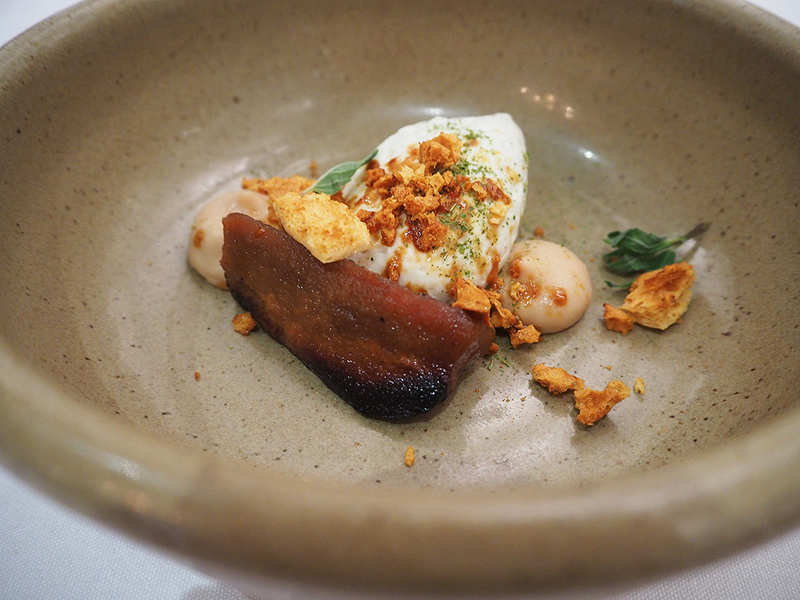 Quince, whipped coconut, honeycomb and lemon verbena was the first of the desserts. I really enjoyed this dish and didn’t find it too sweet. All the flavours blended well together along with the textures of the quince, crunchy honeycomb and the soft, fluffy whipped coconut. 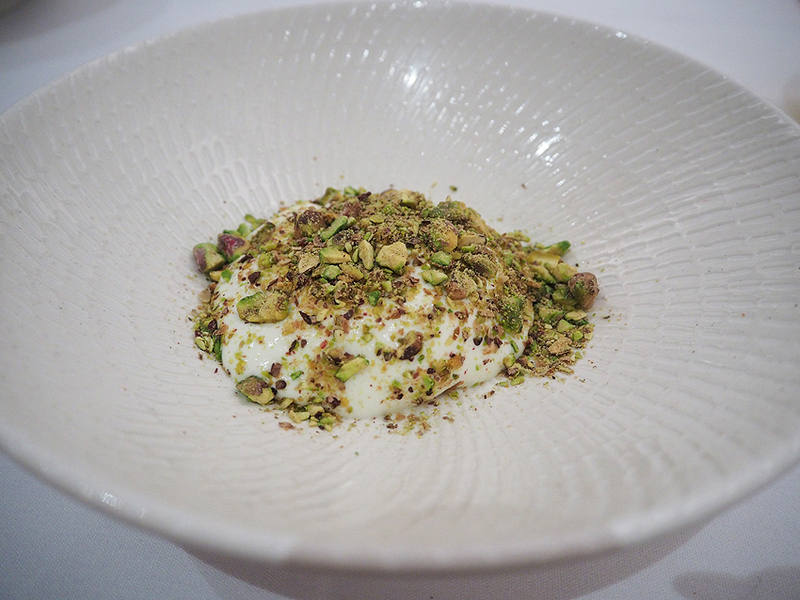 And the final dessert was orange blossom parfait, yoghurt, dates, pistachios. Doesn’t look like much on the plate but wow! What a beautiful way to finish a meal. 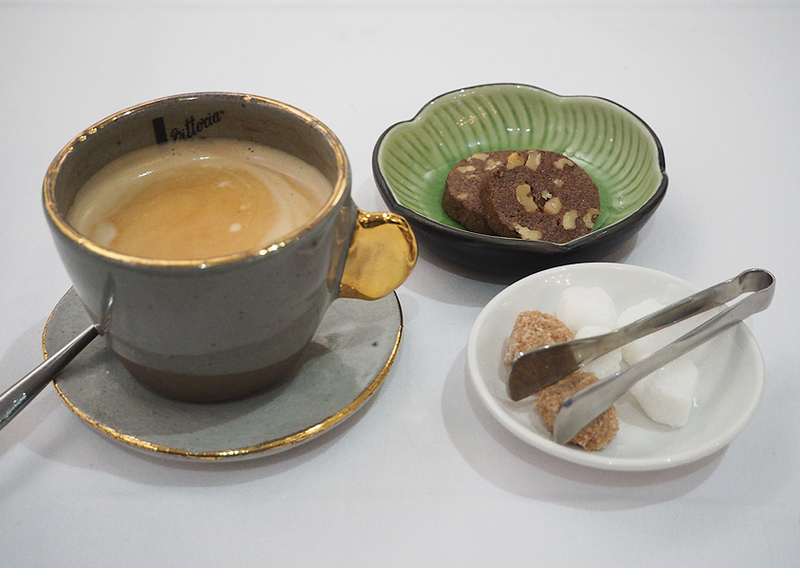 I really enjoyed the fact we didn’t have any chocolate for dessert, for a change. I really enjoyed reading in the menu the range of foods grown in the gardens that had been presented on the plate. And with each changing season, so to would the menu change to reflect the seasonal foods. This dinner was one of the best meals I’ve eaten in a long time. So creative.